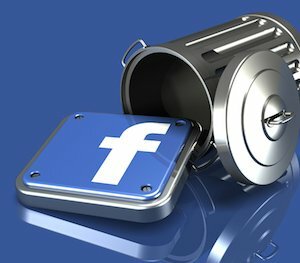 Why you shouldn’t delete Facebook this year. We’re twenty hours into the new year and I’ve already seen a double handful of Facebook posts announcing that their posters will be spending less time on Facebook this year. It wasn’t so many years ago that most of us didn’t know anything about Facebook or Twitter and we didn’t use the internet for much more than looking things up. Can you even remember that world? But today? For some Facebook has become a daily devotional—the first thing we check in the morning, the last thing we see before bed. Put a smartphone in our hands, and hook us up to the piling feeds of Twitter, Pinterest, Instagram, whatever. It’s no wonder that we feel distracted, frazzled and overwhelmed with the pings, beeps and pokes constantly coming at us. The desire to delete Facebook is about simplifying and turning down the volume. But before you delete your Facebook account, I’m going to try to get a word in. I’m going to suggest that maybe social media might actually be good for you. Maybe it has a place in your intentional and growing spiritual life in this new year. Dietrich Bonhoeffer was a Christian theologian and pastor in World War II Germany. In a context where it was illegal for him to gather with other Christians who opposed Hitler’s regime, he spent a lot of time thinking about the importance of spiritual community. Social Media has the power to be the distraction to end all distractions, sucking your life into a sad vortex of comparison, always watching and never living. But it doesn’t have to be that way. If you decide to be the master, rather than being mastered, it can be a game changer. Why? Never before in human history has like-minded community been so immediately available. If you want to grow spiritually this year, there is no doubt that you need to surround yourself with folks who also want to grow spiritually. The intentional life is so much easier walking with others. Online you can find people to walk with on this journey. I hope I am one; I know there are many many others. In this space — on a blog like this or on a Facebook page where we can interact—we can speak God’s truth to each other. We can bear God’s encouragement to each other. We can help each other through the inevitable days of discouragement and distraction. Nothing will replace being able to sit across the cafe table from a mentor or partner in personal growth. But the community we can now find online can strengthen us and encourage us for the journey. If we’ll choose to this tool for our growth, that is! It’s all about how you choose to use the tool. There’s no question that we have to stop being idiots with social media. Put the phone away during dinner. You don’t have to document every single funny thing your children say. (He said, speaking to himself…) Don’t waste the precious first and last moments of your day on Facebook. Set yourself some healthy boundaries, OK? But once you have, get serious about the possibility that’s being offered to you. It doesn’t matter if you live in a tiny town where no one thinks like you. It doesn’t matter if you’re in a horrible job. It doesn’t matter if you’re socially awkward. Social Media puts community right in your hands, if you will look for it, and invest in it. Community is an absolutely essential part of your spiritual growth. So, take a moment and reconsider how you use social media this year. It might be a vital part of your growth this year. In your journal reflect on how you use social media. Does it build into your life and who you want to be? Or does it just fill time and take energy? Consider how social media can be a positive impact in your life and what that might look like. 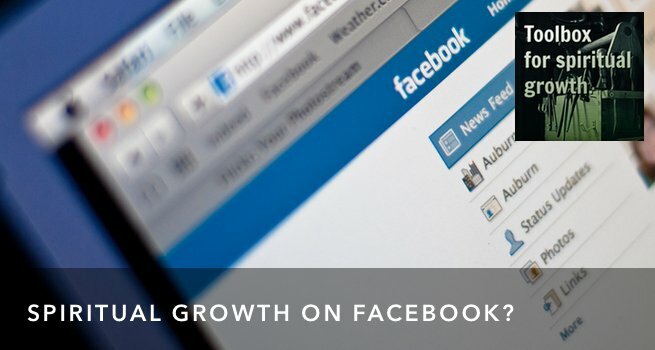 So, does Facebook–on the whole–add or detract from your life? Why so?